IronPigs baseball is back! Although, last week for the first two games of the season it was anything but spring-like. Cool temperatures and wind made if feel much more like November. But I repeat, IronPigs baseball is back! The crisp spring weather seemed to have kept the &apos;Pigs bats in check, but Saturday was a bit warmer and with that, the &apos;Pigs bats warmed up as well earning them their first win of the season. As much of a baseball purist as I am, there are things that are growing on me. I was nice to once again see the Dancin Dirt Dudes, Ferrous and FeFe and hear the crowd roar for free stuff (on Thursday and Friday nights there wasn&apos;t much else to cheer for). There are some new additions to the park and the atmosphere this year; the Youth Education in the Arts (YEA) Drumline, the East Penn Foot & Ankle Associates (EPFAA) Ball Girls, the "Sooeey&apos;te Spot" Frozen Yogurt Bar, the "Boar-rito" Mexican stand, the "Urinal Gaming System", and the most amazing new thing this season PorkCenter. PorkCenter is a "fan-interactive social media command center" where you can interact on twitter (@PorkCenter) with hashtags such as #AskPork, #PorkSwag and #PorkIQ. Porkcenter is also on Facebook, Instagram, Foursquare, Google+, Pinterest and Vine. The point is, where ever you are, they are, and they&apos;re there for you. And so the season begins, with promise and hope. We&apos;ve seen winning seasons and losing season... 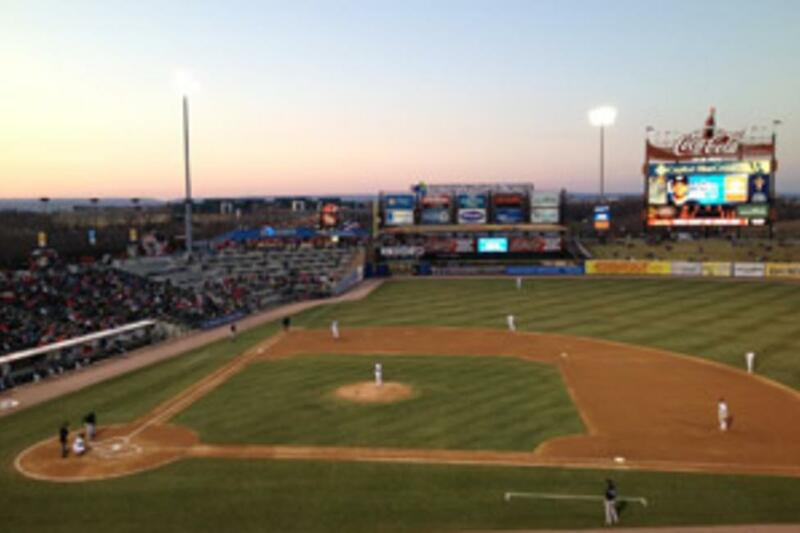 This year is still yet to be determined, but I will guarantee you this: You WILL have fun at the beautiful Coca-Cola Park all season long! And last night, the temps were up and the bats were hot, which could be a great sign of things to come!